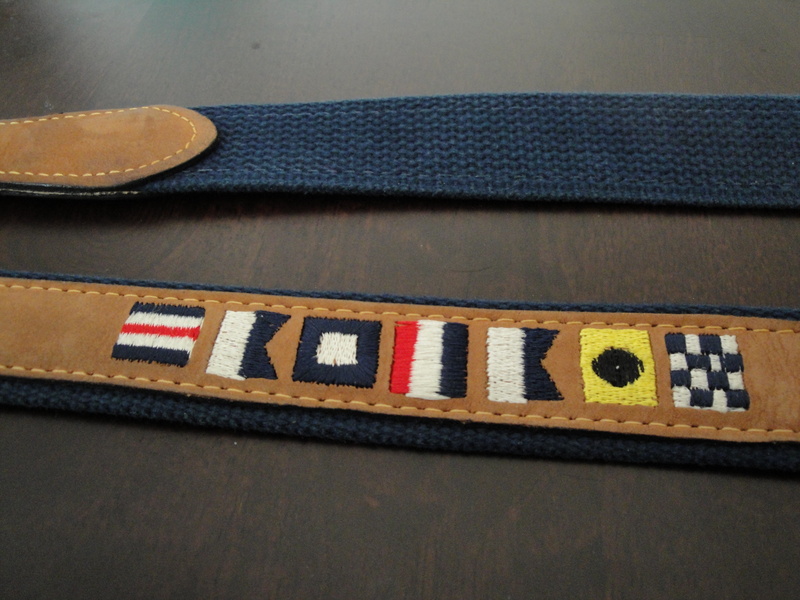 My latest thrift purchase was a nautical flag belt – embroidered on leather with a webbed cotton backing and a brass buckle. The belt was made by Zep-Pro, a company I had no heard of before. The low price ($3.99) and overall good condition made this an excellent find. 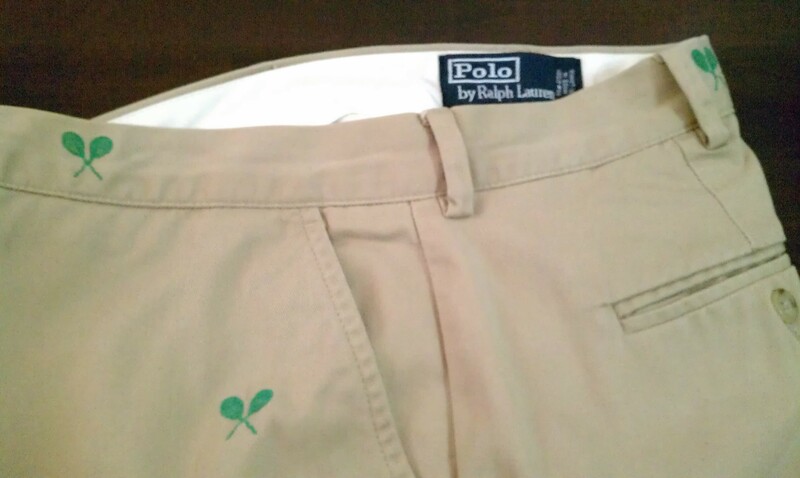 It always pays to check the belt section. 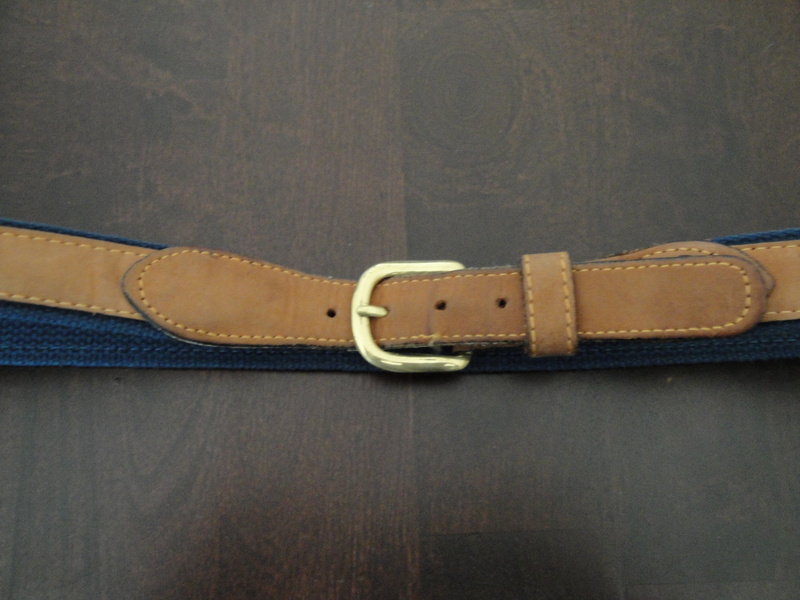 I often find motif belts in excellent condition by Leather Man Limited that are typically priced under $5.00 vs. $45.00 or more at retail. Zep-Pro is based in Pembroke Park, Florida and makes a range of belts and accessories, including ribbon on webbed cotton, collegiate belts and keychains as well as motif pet collars and leads. 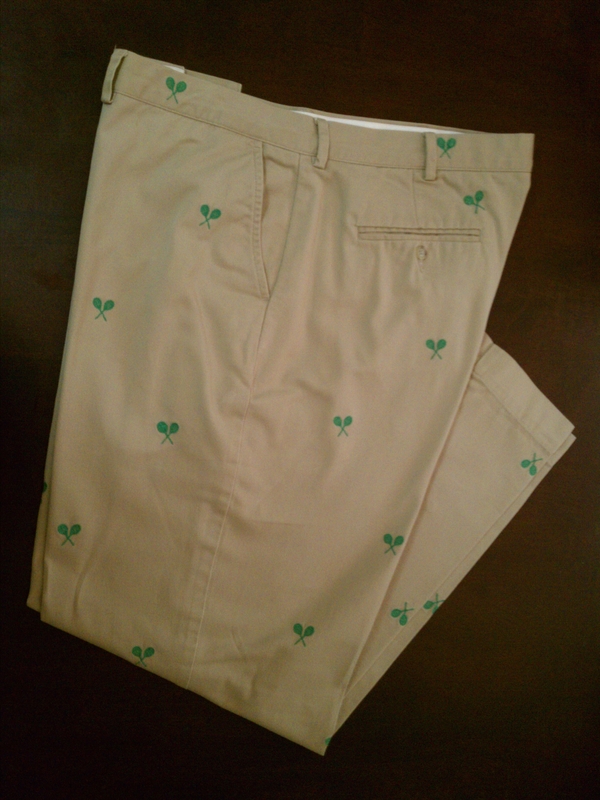 By the preponderance of deep sea and fresh water fish motifs, it’s safe to say they cater to the angler. I can’t access the Zep-Pro price list, which requires access to a secure server by request only. Odd. I’d estimate the price falls in the range of $45.00 to $60.00. 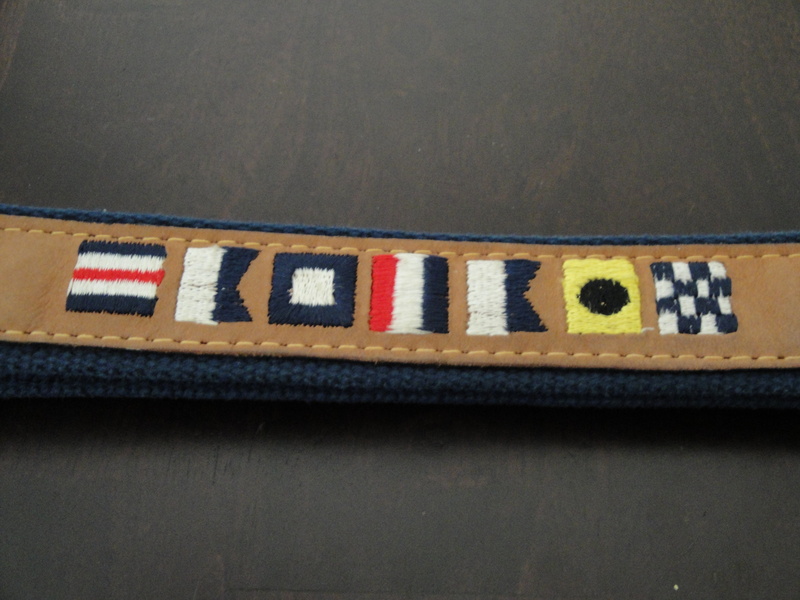 I think this belt will go nicely with my Nantucket Reds.